So far Kathy Miller has created 67 blog entries. Day 28: Taking Care of Each Other. We all want to be valued for who and what we are; we all want to be known and seen as someone with a place in the world. 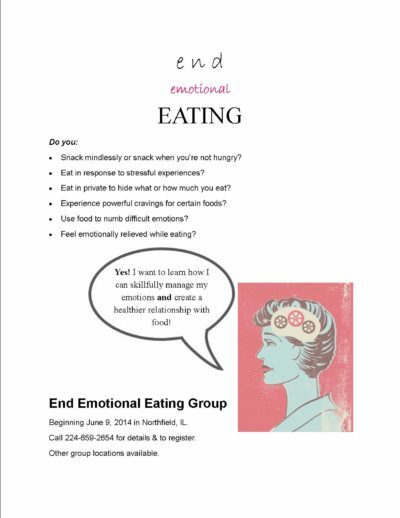 Northfield End Emotional Eating Begins 6/9/14! Join us to discover your unique mood-to-food connection, and learn helpful skills to end emotional eating!